Could Houston be facing a shortage of land in some real estate sectors? Crazy as it seems for ever-expanding Space City, it could be possible, especially in a hot market such as the Houston Ship Channel. To find out, Realty News Report contacted one of the city’s long time industrial brokers — John Nicholson, Executive Vice President of Development at AVERA Companies. John joined AVERA in November. Over the last 16 years, John has negotiated over 700 transactions providing in excess of $750 million in transaction value. Prior to joining AVERA, John was with Cushman & Wakefield where he was responsible for leading the Industrial Services group in the Houston area. 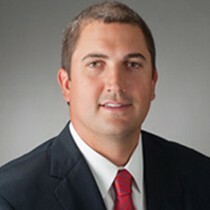 Before joining Cushman & Wakefield, John served as Senior Vice President at Transwestern. Realty News Report: In a recent speech in Houston, you said the Houston Ship Channel was running out of land. Can you explain this? John D. Nicholson: I’ll refer to it as “south of the channel land restraints.” It’s getting harder and harder to find available land in Deer Park, Pasadena, and La Porte for industrial development. Most of the bigger tracts you see on a map are owned by the large chemical companies. They aren’t sellers. Most want to hold on for future development. This has opened up developments in Baytown and other areas. Realty News Report: How’s the overall industrial market here? John D. Nicholson: I see 2017 being much of the same as 2016. We will see continued development on the eastside of Houston as it continues it run. Leasing will remain positive. We might see oil and gas companies come back into the market as confidence increases. Realty News Report: Why is it important for the industrial user to have tracks from more than one railroad company? Competition? John D. Nicholson: It’s not necessary but when the user decides which railroad to use he can prevent from being held captive by the one railroad. Realty News Report: Does AVERA have any major new projects on the East Side? John D. Nicholson: We just recently purchase a land site on the Houston Ship Channel. We have secured a tenant for barge operation and will have plus or minus 25 acres available with deep water access. Realty News Report: The new trend for e-commerce retail sales by firms like Amazon, how will that impact the warehouse business? John D. Nicholson: It’s a slow but steady increase year over year. As we go forward, I believe we will see more and more warehouses that will take the place of brick-and-mortar retail square footage. All retailers are chasing the Amazon model and if there not, then they should be. Realty News Report: Can you provide us with an update on the 11,000-acre Cedar Port project in Baytown? John D. Nicholson: New ownership has been very active in selling and developing sites for rail and non-rail users. This business park offers a lot when it comes to rail, rail storage, large land sites and incentives. TGS is doing a very good job in attracting users for the park. Realty News Report: What’s your outlook for Houston industrial in 2017? John D. Nicholson: Positive. I’m excited about what 2017 will bring. Realty News Report: You recently moved to AVERA. Why? Tell us about the firm, please. John D. Nicholson: I’ve been close with AVERA for many years. We have worked on several large transactions together and feel very comfortable with the entire team. I’ve always enjoyed putting a deal together and AVERA offered me that opportunity. I loved being a broker and the guys I worked with. It’s something new and I’m excited about it!